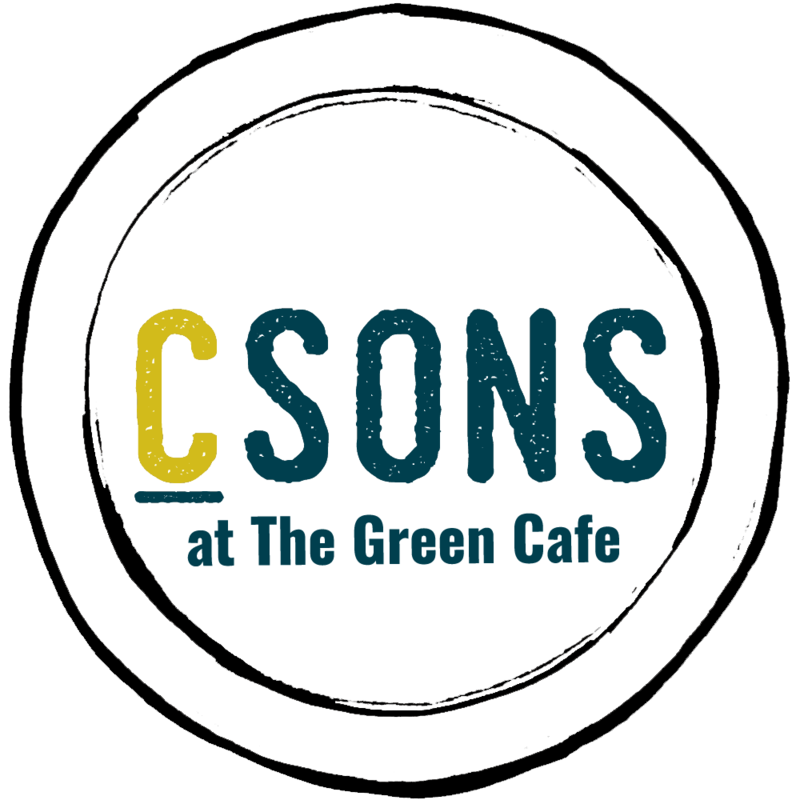 Welcome to CSONS at The Green Cafe, a friendly cafe-restaurant situated on the banks of the River Teme overlooking the weir and Dinham bridge. Ludlow castle is in the background, with the Millennium Green, a large grassy area on the side, perfect for picnics and often described as “Ludlow’s beach”. We serve breakfast, coffee, lunch, tea and cakes and will soon be opening on Friday and Saturday nights for dinner. We are four Crouch brothers (The CSONS ) with an addiction to great food and drink. Being based in Ludlow we are surrounded by amazing growers and producers with whom we have built direct relationships. This close link with our suppliers means our menu changes on an almost daily basis in reaction to what is available and at it’s best. Our food is different; we use the best #LocallySourced produce and treat it with the respect it deserves by creating simple, unpretentious, #GloballyInspired and exciting dishes that shout about the ingredients, reflect the seasons and are full of flavour. Come and check us out, we’re pretty confident you’ll like what you find. We’d also like to meet you! Opening Hours; Mon and Sat 9-4, Sun 10-4, Breakfast until 11.30, Lunch from 12-2.30, Evenings coming soon!